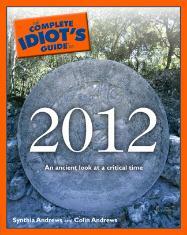 The calendar of the ancient civilization ends Dec. 21, 2012.
calendar and the focus of many end-of-the-world predictions. documentaries and, of course, self-promotion. global warming and the possibility of a magnetic pole shift and stronger sunspot cycles. the birth of a new age, or both. The conference's slogan: "Shift happens." has sponsored four 2012 events in the last six months. the impending end of the world as we know it. in parallel universes slated for destruction. mind as far back as AD 200.
this crazy world, it can become a movement, for better or worse." early Christians cope with their Roman oppressors. of the New Age crowd. As it turned out, Kohoutek fizzled and shot past Earth without incident. 2012 as a time for "the return of the Quetzalcoatl," the mythical feathered serpent of Mesoamerica. center of the Milky Way galaxy and what he called "the Black Hole of Maya Creation mythology." calendar and intricately carved stone monuments. Hole. I said, 'Nah, I'm thinking it's a bird nest.' "
"These guys are loony and are making a buck in a market that has to be short-lived," he added. switches over like an odometer and everything is fine." David Stuart, an art historian and Maya glyph expert at the University of Texas at Austin, agreed. He didn't attend the San Francisco event. of our time or brain cells." need to be a New Ager to know there's a lot of weird things going on in the world." Sahagun is a Times staff writer.